NBA – The Cleveland Cavaliers host the Boston Celtics in Game 4 of the Eastern Conference Finals at Quickens Loans Arena in Cleveland, Ohio. The Cavs are looking to even the series at 2 – 2 a piece while the Celtics is looking to extend their lead in the series at 3 – 1 if they win Game 4, before going home at Boston for Game 5? In the 1st quarter, the Cavaliers dominated the quarter similar to Game 3, they outscored the Celtics 34 – 18 to put a 16 point separation as early in the game. LeBron James led the Cavs with another impressive start with 11 points in 4/4 shooting. At the start of 2nd quarter, the Cavs lead ballooned to 19 points with 11:15 to go, but the Celtics able to hang on not allowing the Cavs to pull away from the game as they cut the Cavs lead in just 9 points 55 – 46 with 3:34 to go in the quarter. Cavs able to up their lead back to double digit to end the 1st half 68 – 53 enjoying a 15 point separation. Cavs dominated the 1st half with great shooting percentage of 62% accompanied by great defense. LeBron James scored game high 22 points, along with his two teammates with double digit points Kyle Korver and Tristan Thompson with 14 points and 10 points respectively. Terry Rozier is the only Celtics player in double figure with 10 points at the half. In the 3rd quarter, the Celtics had a quick 4 – 0 run that leads to an early time out for the Cavs. 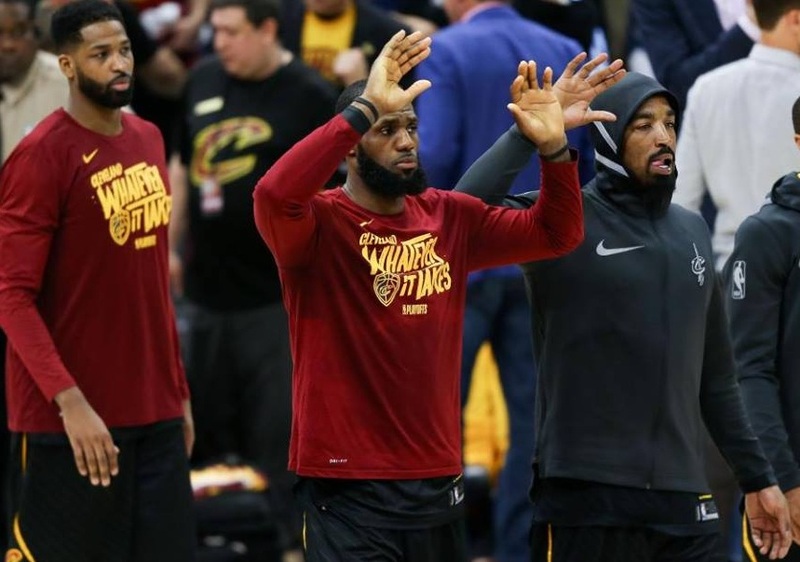 Cavs is known for their slow starts in the 3rd where sometimes it leads to a complete collapse in the game, but this time they able to hang on despite losing the quarter 21 – 23 and still lead the game 89 – 76 up by 13 points at the end of the 3rd. In the 4th quarter, Cavs has not be denied of taking this Game 4 at home preventing the Celtics of coming back in the game as they completely control the final quarter and now tied the series at 2 – 2 in a 111 – 102 win over the Celtics. LeBron James scored 44 points, 5 rebounds and 3 assist for his 6th 40 plus points this postseason in another huge game that brought back the Cavs in the series. Game 5 is scheduled at Boston where the Celtics are unbeaten or Will the Cavs carried the momentum comes Game 5? Let’s wait and see. No Comment to " Cavs Dominated the Celtics in Game 4 to even the Series at 2 - 2 "